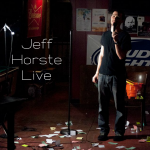 Jeff Horste Live was recorded at Joey’s Comedy Club! Recorded and mixed by Esther Nevarez. Album photography done by Diego Attanasio.